Good. Stains on sides **SHIPPED FROM UK** We believe you will be completely satisfied with our quick and reliable service. All orders are dispatched as swiftly as possible! Buy with confidence! A slight tan to the page edges. Good condition is defined as: a copy that has been read but remains in clean condition. All of the pages are intact and the cover is intact and the spine may show signs of wear. The book may have minor markings which are not specifically mentioned. Most items will be dispatched the same or the next working day. Very Good. Revised and updated edition of the groundbreaking guide to Girl World. B-format paperback. 448 p. Intended for college/higher education audience. Intended for professional and scholarly audience. Good. Revised and updated edition of the groundbreaking guide to Girl World. B-format paperback. 448 p. Intended for college/higher education audience. Intended for professional and scholarly audience. Very Good. Trade paperback (UK). 320 p. Written in a down-to-earth style and packed with examples and tips, this is a guide to the secret world of girls' cliques and the roles they play. It analyzes their teasing and gossip and provides advice to enable parents to empower both their daughters and themselves. Good. Trade paperback (UK). 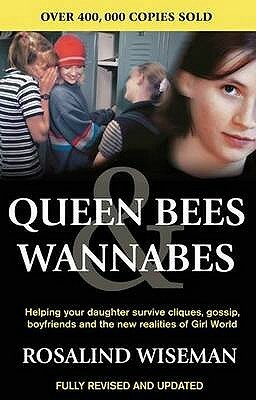 320 p. Written in a down-to-earth style and packed with examples and tips, this is a guide to the secret world of girls' cliques and the roles they play. It analyzes their teasing and gossip and provides advice to enable parents to empower both their daughters and themselves.